A double garage with clean concrete floor and high ceiling in a converted horse stable on a private property. 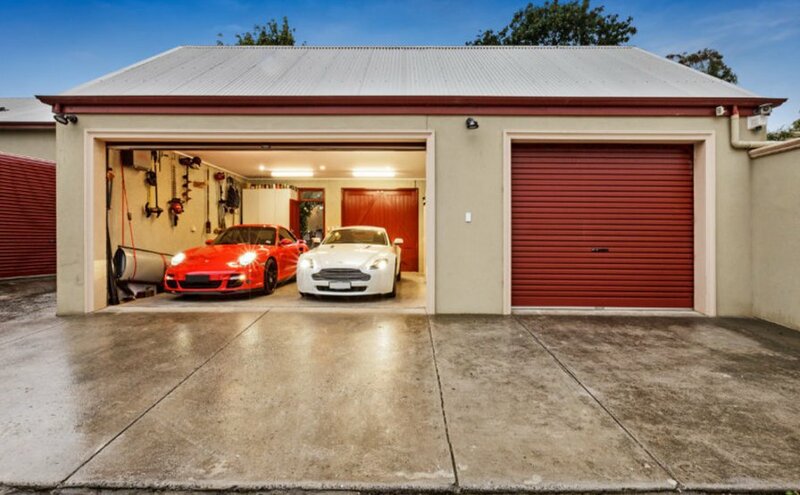 Secured by an automatic roller door directly onto a secluded laneway off a main road. Ample shelf and cupboard space available around the car spaces. Rent includes water and electricity. Rental over 3 months preferred and the longer the better. A full, formal lease agreement will be provided on request.